What is Rolled & Told? Rolled & Told is an ongoing monthly magazine that focuses on getting casual gamers excited about and ready to run their very own tabletop gaming campaigns! Each issue has a full sized 4-6 hour adventure module and a 2-3 hour mini adventure module. 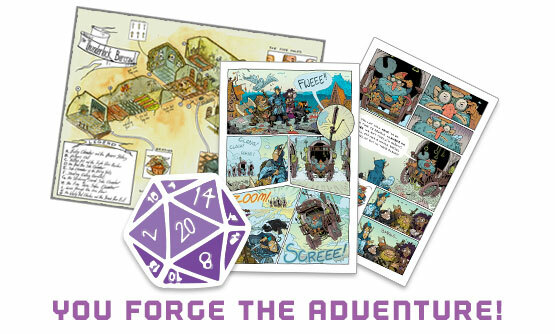 Each adventure comes with an accompanying short comic and a two-page map. In addition to the adventures, every issue has editorial articles with tips and tricks on how to run modules, all with full color illustrations throughout its 64 pages. It’s the perfect combination of comics and gaming!